Those of us who’ve been to the International CES – better known as CES or Consumer Electronics Show – would have been awed by the array of existing and upcoming consumer technology displayed at the four-day technology trade exhibition that can take up to weeks to set up and dismantle. Well it seems Singapore is going to get its own version in 2015. Nope, CES is not setting up an Asian version of Las Vegas-based show here, but local media company MediaCorp and the Singapore Infocomm Technology Federation (SiTF) has announced The Stage, a similar – in concept, if not in scale – show based here in Singapore that year. The Stage is touted as Southeast Asia’s first experiential platform for technology industry players to showcase their new and innovative technologies for home, work and play that cuts across devices, services and applications, and the three-day trade show – which will take place at Marina Bay Sands Expo & Convention Centre – is targeting at least 250 exhibitors in various sectors including audio and visual, connected home devices, digital imaging/photography, telecommunications, electronic gaming and music, robotics, computer hardware and software, lifestyle electronics and automotive electronics. Aside from an experiential technology showcase, the event will feature live demonstrations of new technologies and product launches. Alongside the exhibition, there will be a conference featuring keynote presentations and panel discussions from thought leaders. The MediaCorp touch? A headline concert with celebrities adding pizzazz to the event (although how much relevance that is to technology and in driving interest is highly debatable). 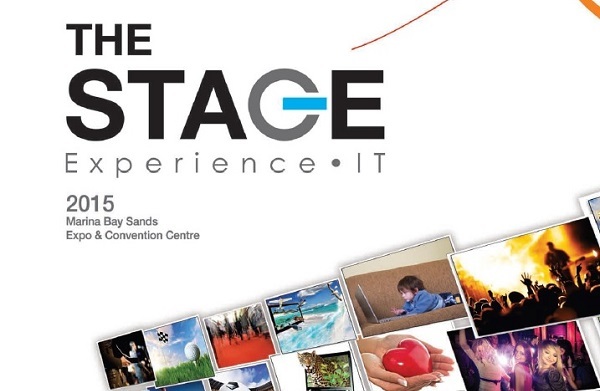 The Stage is set to compete with CommunicAsia and its sister event Broadcast Asia, the former an annual information and communications event that’s been held since 1979 but has seen waning interest from exhibitors over the past few years.